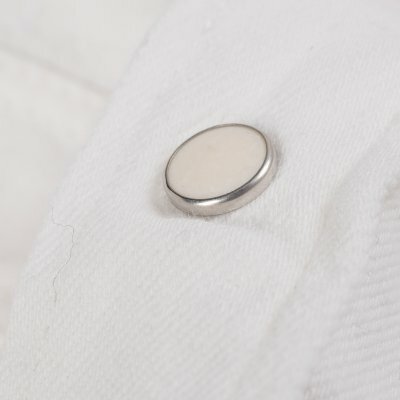 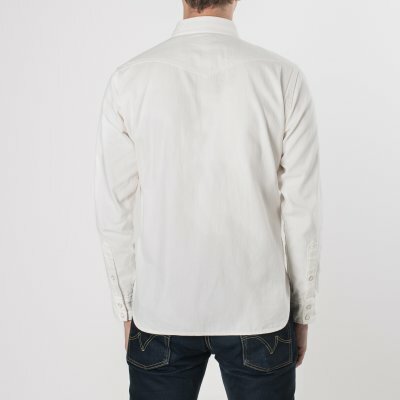 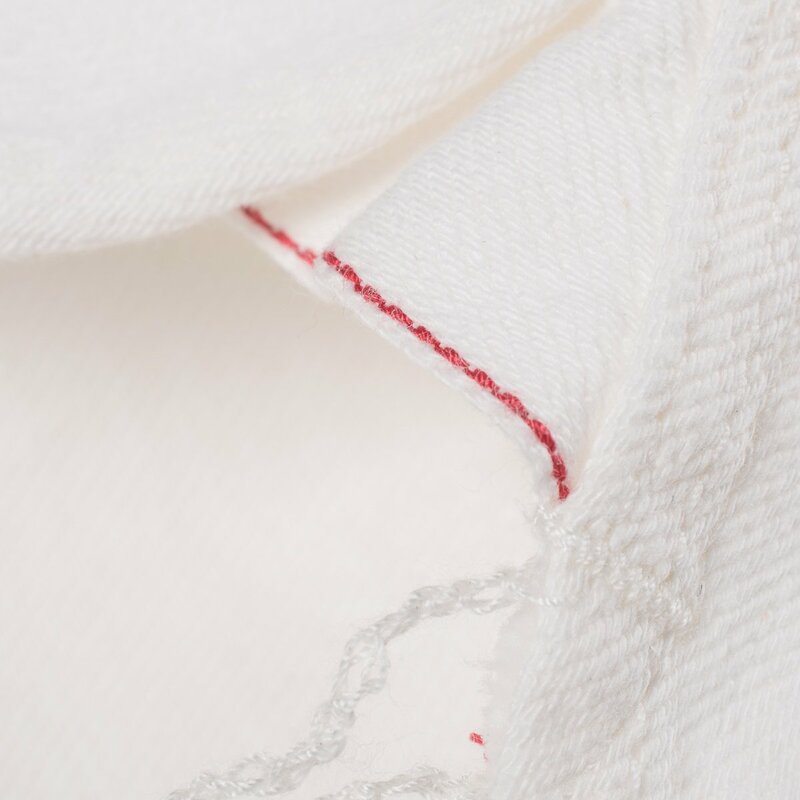 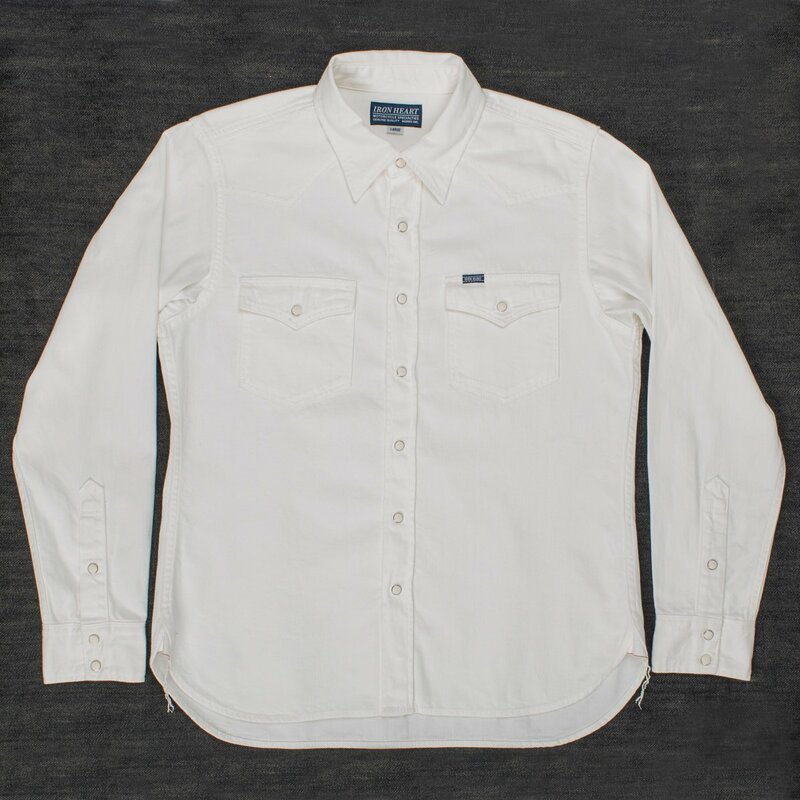 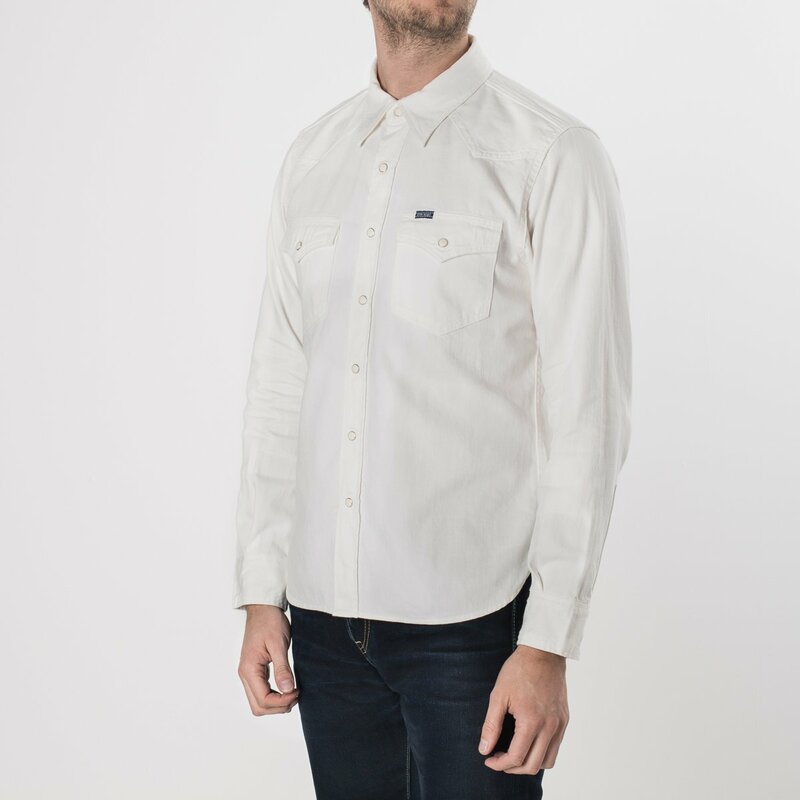 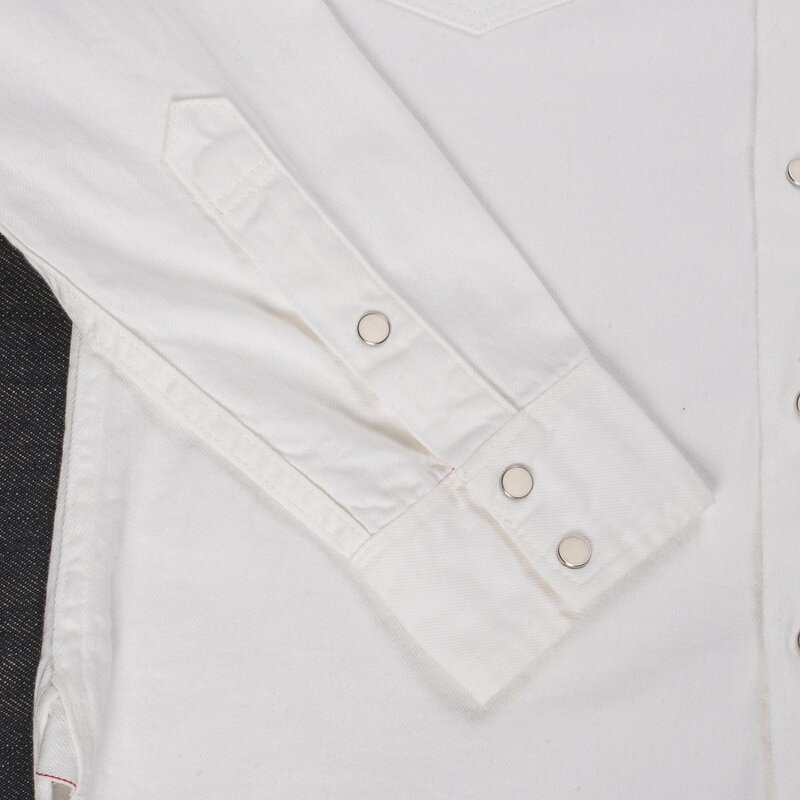 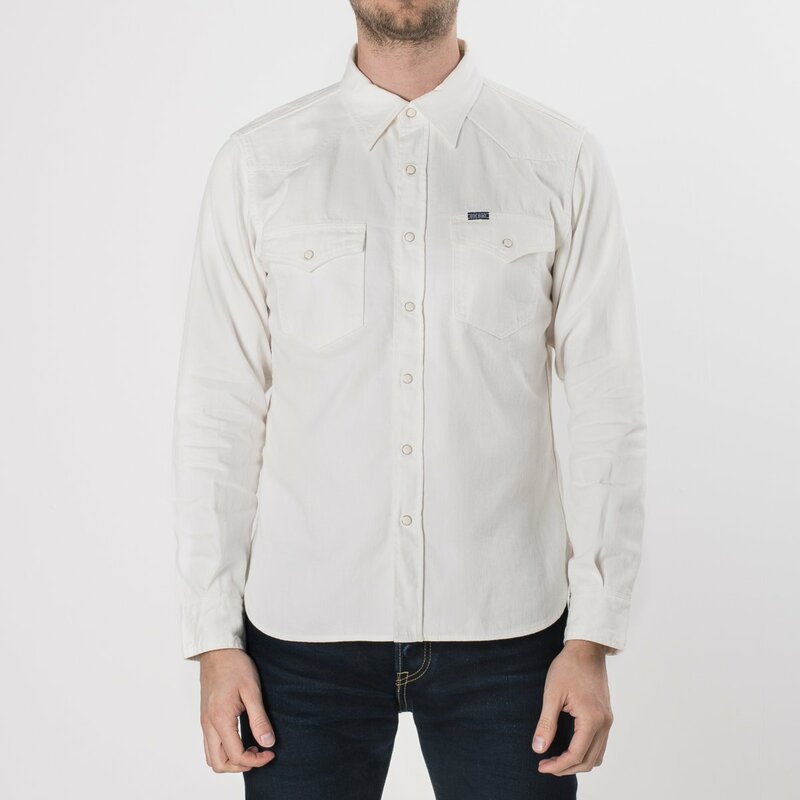 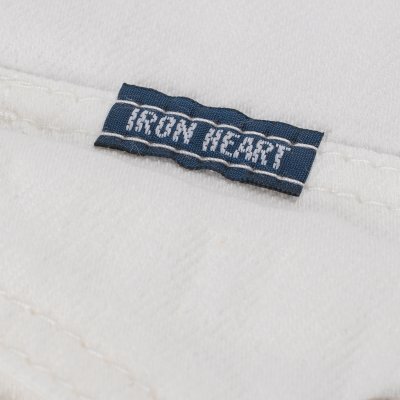 Home ShirtingWhite 7oz Selvedge Denim Western Shirt - The "Anti Cash"
White 7oz Selvedge Denim Western Shirt - The "Anti Cash"
Our western cut constructed from white selvedge denim. 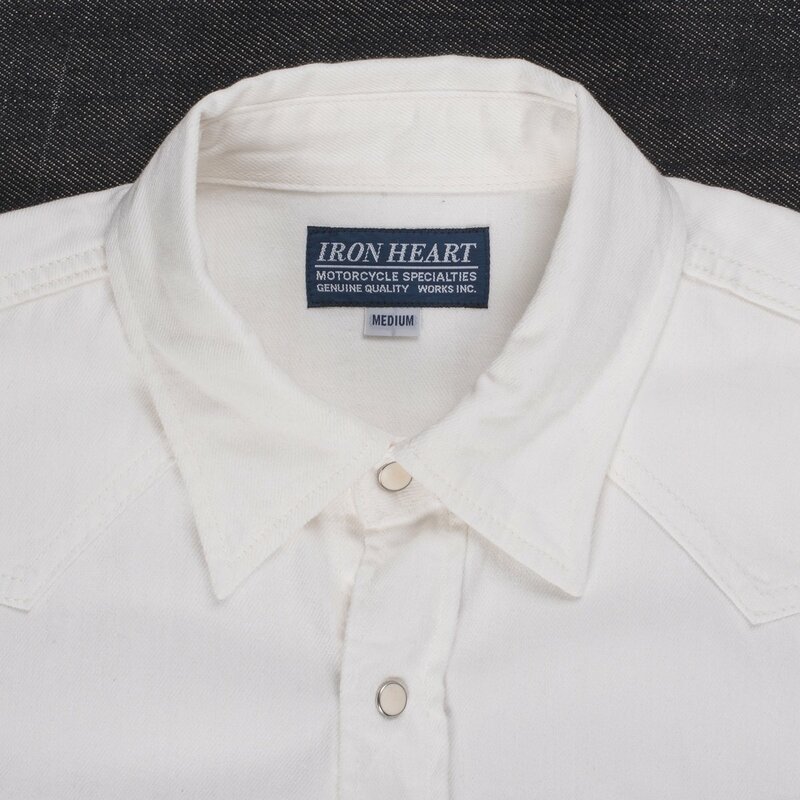 The opposite to the Man in Black shirt we nicknamed the "Johnny Cash" this classic white shirt is affectionately known as the "Anti-Cash". 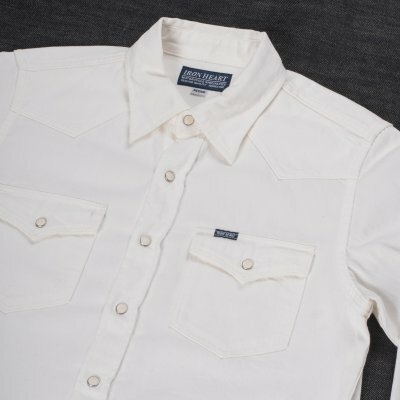 Great teamed with denim jeans, or with sleek chinos when a smarter outfit is required. 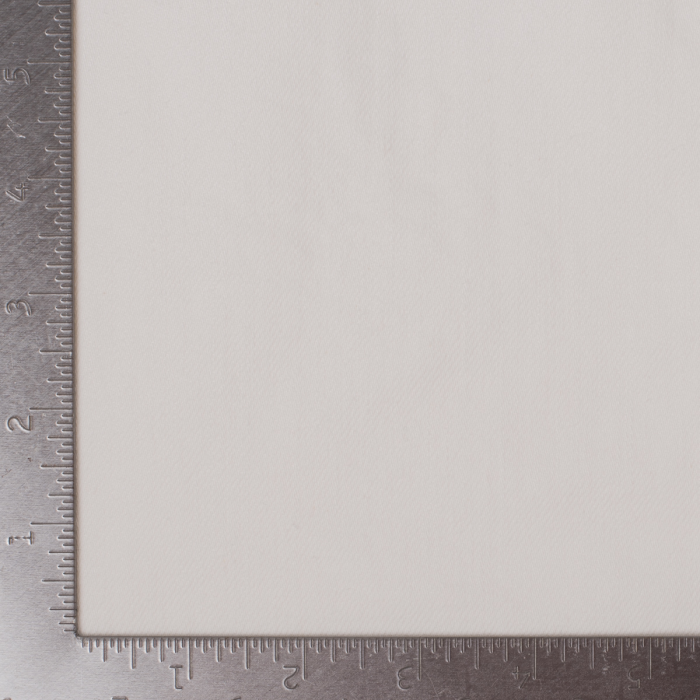 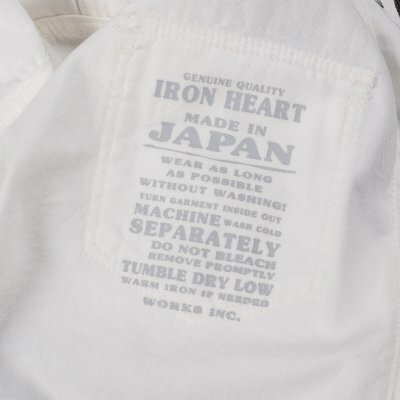 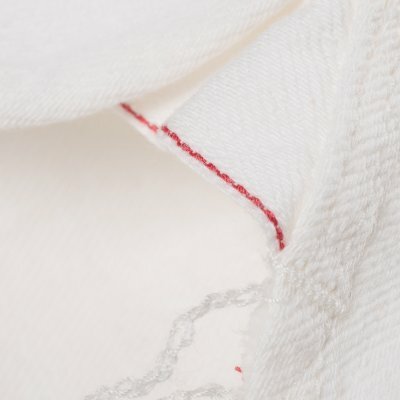 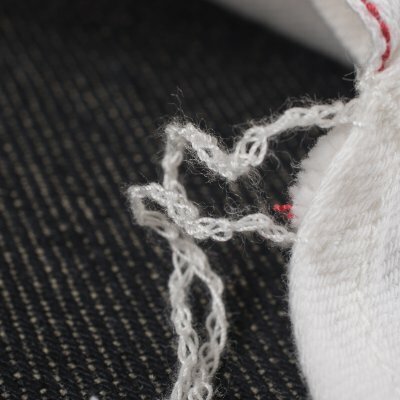 7oz white selvedge denim, it ain't black like the Johnny Cash so it's the "Anti-Cash"